Start a career in the sizzling-hot industry of professional video gaming. Learn all about the industry’s career opportunities, including jobs that don’t require you to be an expert gamer. Follow the example of millionaire gamer “Ninja” and get paid to play video games for a living! Technology is creating some incredible new career opportunities. More than ever, talented people (especially young people!) are able to turn their hobbies and interests into actual paying careers. The empowerment of young people to create unique new careers through technology is especially true for people who love video games. Professional gamers have been able to redefine what it means to "have a job," and many make a handsome living at it. Do you love video games and wish you could have a full-time career as a professional gamer? The dream doesn't come true for everyone, but the rise of eSports has given more and more talented video game players the opportunity to turn gaming into a career. You can live life like a rock star, with sponsors paying you thousands to represent their products, and teams paying you to fly all over the world to compete in tournaments. Instead of buying video games after they're released, game developers will give you free copies of games and pay you to play them live on the internet. If you think you have what it takes, this article will give you valuable guidance to tip the odds of having a successful gaming career in your favor. You'll learn the secrets behind the success of the world's biggest professional gamers, including the Twitch.tv live-streaming sensation known as "Ninja." By following his example, you could be playing with him someday soon. I love how technology is creating new opportunities for young people to become empowered to take on careers they enjoy. I hope this guide can help you achieve your dream of gaming for a living. 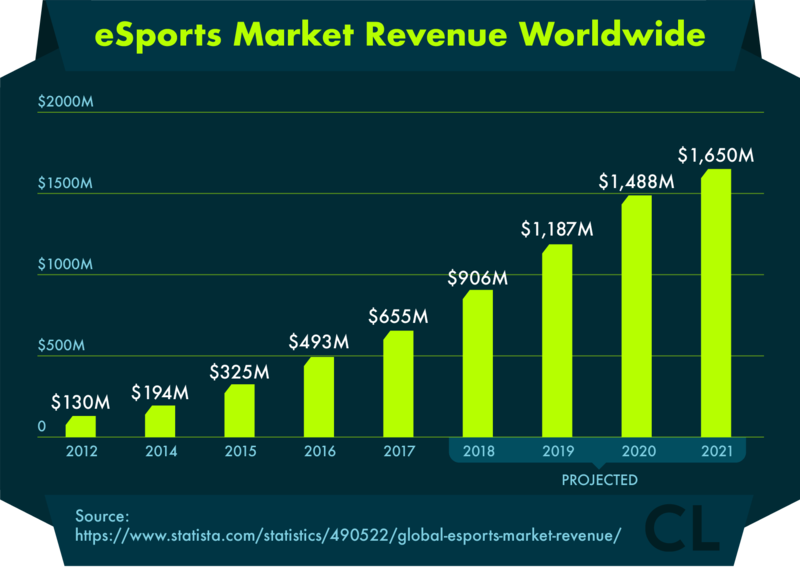 eSports competitive video gaming is a huge industry, and its current annual revenues of $700 million are expected to jump to $1.5 billion by 2020. Today people can turn gaming into their career in lots of ways, from creating YouTube videos and live streaming on Twitch.tv, to competing in video game tournaments. But unless you're highly skilled or have an amazing personality, the chances of becoming a pro gamer can be pretty slim. Fortunately, the video game industry is full of other career opportunities that don't require the god-level skill in playing games. Graphic designers are in demand. People who have skills in digital design can work on game development as well as promotional materials for competitions. Statisticians gather game data. 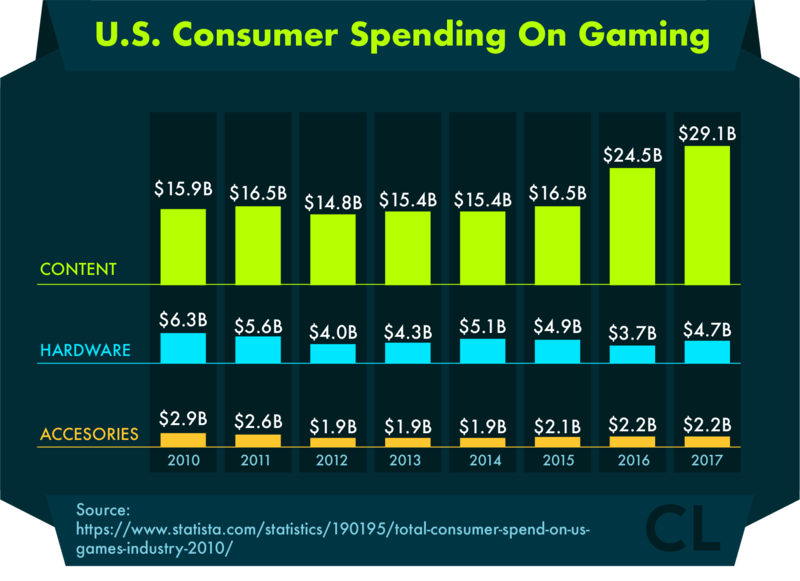 Just like in professional sports, fans of competitive gaming are crazy about stats. Game-casters give color commentary. These play-by-play analysts are like baseball announcers for video game tournaments. eSports writers and journalists report on gaming. If you're a so-so gamer but a great writer, blog or write for print publications. Merch and promotional content are lucrative. eSports fans spend loads of money on merchandise like shirts, mouse pads, and even special branded chairs featuring their favorite gamer or team. Video editing and production are important. With all these professional gamers broadcasting their games on YouTube or streaming live on Twitch.tv, assistance with video production is a must-have in order to be competitive. Bilingual translators bring the games to the world. Gaming fans come from all over the world, which means content needs to be available in diverse languages. Share your knowledge and passion by coaching. If you know a lot about video games and feel you could help other people succeed, become an in-person or online coach. If you want to become a professional gamer, it's not just going to fall into your lap. Follow all of these steps and you'll dramatically increase your odds of joining the gamer big leagues. Pick your game wisely. The game you choose to become an expert player at is absolutely critical to your success and growth. Since a lot of the income professional gamers earn is through live streaming, selecting a streaming-friendly game is vital. Choosing too popular a game means you'll get buried down low on the lists of channels, while too small a game will severely limit your audience. Also, keep in mind, some games are more lucrative for pro players than others. The largest tournament for the multiplayer battle game Dota 2 (known as "The International") had a prize pool of $24.6 million. Compare that pot of gold to the largest tournament for Street Fighter 5, which only had a prize pool of $380,000. You can also choose to become an expert in a genre of games, like first-person shooters, or niche games (for example the mobile sensation SpeedRunners). Practice, practice, practice. There's only one way to get seriously good at anything and that is to practice all the time. If you expect people to want to watch you play, you're going to have to become one of the best of the best. The more you impress fans with your expert playing, the larger your audience becomes, and the more money you can earn. That said, there are lots of successful professional gamers who rely on their entertaining personalities to attract viewers. For example, Robbaz is a successful YouTuber with legions of fans who love his Viking-obsessed personality and commentary, even though he plays fairly obscure games. Keep yourself motivated. Whether it's streaming hours of nonstop gameplay or practicing techniques for tournaments, pro gaming is a lot of work. Even though it's "just video games," there's still a ton of dedication and discipline required. Set achievable goals and targets to keep yourself motivated. For example, rather than getting frustrated when your YouTube subscriptions don't blow up immediately, set a goal of acquiring ten new subscriptions per week. Make sure you engage and interact with your subscribers and encourage viewers to leave a comment with their thoughts and reply to them accordingly. Get the right gear. As a high-tech industry, gaming has an unbelievable number of tools and toys for players to use. Having the right graphics card, keyboard, mouse, or hi-res monitor can give you a competitive advantage in high-stakes games. If you're streaming or recording your gameplay, having a professional webcam and microphone will increase the quality of your stream and attract more viewers. And to help pay for all the expenses that come with professional gaming, there are credit cards branded by gaming stores like Gamestop and even a Visa for earning points via PlayStation purchases. Join the community. Gamers are members of huge online communities, with massive global networks formed around hundreds of games. Joining a community helps you network with other gamers and share information on forums and community boards. Find a team or sponsor. If you're asked to join a team, it will often cover your travel costs to tournaments. Sponsors will pay you to wear their logos or feature their brand icons on your stream. Enter tournaments to take things up a level. If you've got skills but haven't made a name for yourself yet, find a nearby tournament. Start with local tournaments, then you can move up to statewide, national, or international competitions (as you start to earn more and more prestige and money). Get active on social media. Fans don't want to just watch their favorite gamers on live streams or YouTube, they also want to follow them in real time via social media. Fans will get to know (and love!) you as a person as well as a pro gamer through your social media posts. Have a backup plan. Remember, making money playing video games might not last forever, and it's not exactly a guaranteed job in the first place. Make sure you have something else to fall back on, whether by staying in school and getting a degree or transitioning into another related form of media or entertainment. I know, playing video games for a living sounds like the ultimate dream job. But pro gaming might lose its appeal when you're forced to do it 12 hours every day, instead of just as an enjoyable pastime. There are trolls under the bridge ahead. One major mental toll that comes with streaming or posting game videos is dealing with online haters and trolls. Another mental strain is the high pressure you'll feel to win tournaments when you go pro or join a team. Be prepared for start-up costs. If you plan to share videos of your gameplay there can be a huge upfront cost for the gear required in order to achieve professional production quality. You'll need to invest in all sorts of equipment including microphones, webcams, editing software, greenscreens, stream decks, monitors, keyboards, and mice. Fortunately, there are financing options available for people who need a loan to start a business or invest in a career in gaming, including people with not-so-great credit. To get a good start in your gaming career without breaking the bank, you can tap the readily-available funds offered by small personal loans. CreditLoan has been around since 1998 and we've helped more than 2 million customers to date, that's why we're confident we can help gamers like you too. The learning curve is huge. Another thing to be prepared for is the need to learn a massive amount of stuff you can't really go to school for. Learning about using live streaming software, video and audio production and editing, social media and marketing, and managing a business are all skills you need to develop. Most game streamers have taught themselves everything they needed to know through online research and tutorials and personal experience as a jack-of-all-trades. Don't get blindsided by the business tasks. Many successful young pro gamers are ill-equipped when it comes to taking care of the money they earn through their new job. Taxes, accounting, and travel expenses are all areas they need to pay attention to, as well as investing and saving the sudden influx of cash without blowing it. Tyler "Ninja" Blevins is a professional video game player who specializes in the wildly popular game Fortnite Battle Royale. With a winning combination of creative gameplay and a goofy personality, Ninja has gained the most subscribers on Amazon's video streaming platform, Twitch.tv. With over 8 million Twitch followers and an average of 90,000 viewers per stream, he's achieved the kind of income most can only dream of, making $500,000+ per month. These accomplishments didn't happen overnight, and they weren't random. Here are some really useful tips you can follow to achieve your own Ninja-style success. He makes strategic partnerships. One of the biggest jumps in Ninja's subscriber-base happened when he played in a game alongside singer (and Fortnite fan) Drake. Partnering with other popular gaming streamers can bring your popularity (and income) to the next level by introducing you to lots of new potential subscribers. Ninja found his niche. Ninja started out as a competitive player of the game franchise Halo. His eSports career as a Halo player didn't really take off until he started streaming his gameplay. Then Ninja switched to a more popular game called Player Unknown's Battlegrounds (popularly known as "PUBG") and gained an even larger audience. Once he switched to the smash hit Fortnite, he still had all of his existing followers, and his new subscriptions and popularity exploded—positioning is everything! He's visible on other platforms. Ninja knew that in order to attract new fans, he couldn't expect they'd all find him on Twitch.tv. He worked hard to build big followings on more mainstream platforms like YouTube and Twitter, always linking subscribers back to his Twitch feed. His followers know he's constantly streaming. Ninjafollows a schedule for his streaming gaming sessions, so his fans can watch him play live on Twitch every day just like a TV show. Fans feel like they're part of a community. Ninja has a high level of interaction with his viewers, which includes a rolling list of all his new subscribers overlaid on top of his live stream game videos. When people donate to his channel a message appears on screen, and he has personally thanked donors for their support in the past. He offers giveaways as incentives for viewers to keep watching his 3+ hour streams, and for those who don't want to spend hours watching, he's created shorter edited clips. The key to Ninja's success is providing great entertainment value for his existing audience while finding ways for new fans to come into contact with his content. This combination has allowed him to grow his community of followers and fans. Make a living doing what you love: Gaming! Having a career as a video game player might sound like a pipe dream, but it's now a reality for many people working in the sizzling-hot gaming industry. Whether you choose to play competitively in tournaments or on teams, or stream your gaming live for the world to watch along, you can earn great money all from a home studio as a gaming pro. Then go ahead and follow all the steps we've outlined above and implement the pro tips we gleaned from Ninja's example, and you'll be able to set yourself up for a successful career in the gaming industry. With some hard work and clever positioning, you can join the ranks of Ninja and start earning a rock-star income while following your pro gaming dreams. Have you had success earning income in the video gaming industry? Any tips or tricks you can offer people looking to start a gaming-related career? We'd love to hear your stories in the comments below!